GERMANY, BONN - APRIL 07: Each year attraction for tourists from all over the world. 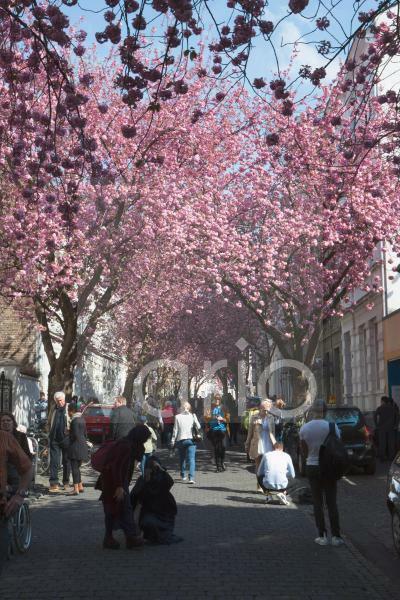 The cherry blossom in Bonn city center. Tourists and the flowering trees.